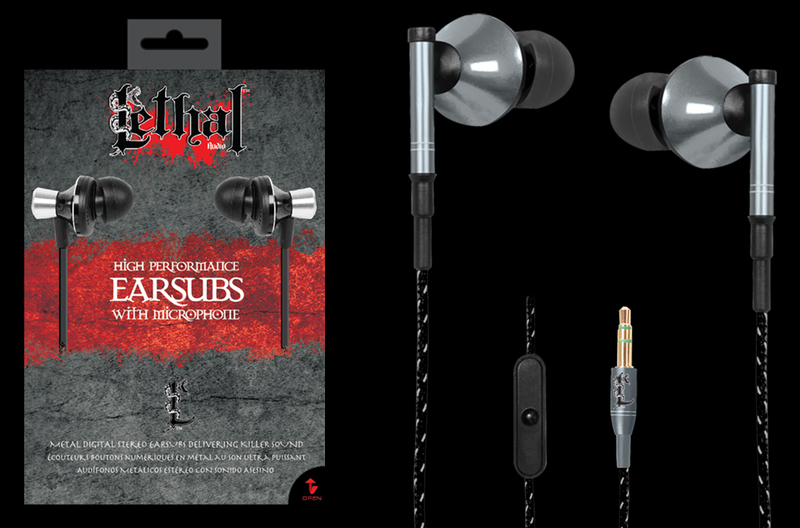 While I was at CES 2012, I was given a set of Lethal Audio’s “High Performance Earsubs with Microphone.” They are edgy, interestingly designed, sort of appealing to the young rocker crowd. To put it mildy I am very impressed by them. I have used them to watch Netflix videos, listen to music, and do conference calls for my full time job with Pitney Bowes. The sound quality is very good, they are lounder than other head sets with microphone that I have used, and the microphone works well. I like that the cords that go to the earphones are wrapped in a nice solid covering. The covering also helps to stop them from tangling as well. I like their fit and finish, as well as the cool little bag that they come with to store them in your pocket with. If you are looking for nice quality ear buds with a microphone for music, conference calls or gaming these are an excellent choice. They have nice sound, great bass response, and a nice design and image. Be the first to comment on "Our week long review of Lethal Audio’s High Performance Earsubs with Microphone"